George Soros and Barack Obama will have their coup one way or another. “If the NPV lobbyists can get enough states whose votes in the Electoral College total at least 270, they will be able to steal votes away from some candidates, transfer those votes to another candidate, and thereby construct a fake majority in the Electoral College. Eight states and the District of Columbia (with 132 electoral votes; half of the 270 needed) have already joined this NPV “compact” to “activate” NPV: Vermont 3, Maryland 10, Washington 12, Illinois 20, New Jersey 14, District of Columbia 3, Massachusetts 11, California 55, and Hawaii 4. 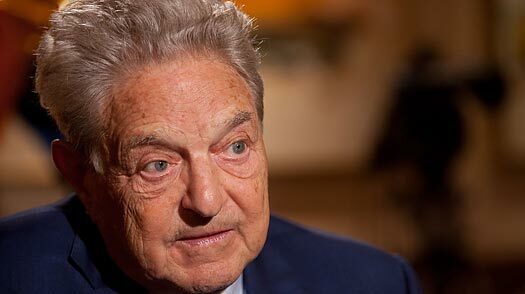 The National Popular Vote effort, which could see only 14 states – those with the largest populations – decide the presidency for voters in all 50 states, is fully partnered with a George Soros-funded election group. The group, the Center for Voting and Democracy, received original seed money in 1997 from the Joyce Foundation, a non-profit that boasted President Obama served on its board at the time of the grant. Obama was a board member from July 1994 until December 2002. The National Popular Vote, or NPV, is run by individuals with a history of support for the Democratic Party, WND found. The states will not be required to award their electoral votes to the national popular vote winner until NPV has signed up enough states to garner 270 electoral votes. The Founding Fathers firmly rejected a purely popular vote to elect the president because they wanted to balance the power of the larger states against the smaller. The Electoral College was fashioned as a compromise between an election of the president by direct popular vote and election by Congress. Now the NPV effort could change the way Americans vote without amending the U.S. Constitution. The plan simply requires that enough states sign up by voting in their own legislatures and then having their governors approve. It takes two-thirds of both the House and Senate to pass a constitutional amendment to repeal the Electoral College. To bypass the constitutional amendment process, NPV minimizes the number of states that would need to agree. Instead, once enough states agree to allot their electoral votes to the national popular vote winner, the Electoral College becomes irrelevant. With the addition of Rhode Island to the NPV effort, the pact now has nine states plus the District of Columbia for a total of 136 of the 270 electoral votes needed. The other states signed up are Hawaii, Illinois, Maryland, Massachusetts, New Jersey, Washington, Vermont and California. NPV is partnered with FairVote, a project of the Soros-funded Center for Voting and Democracy. FairVote advocates for a national popular vote for president, and has nurtured and supported the National Popular Vote plan to ensure that every vote for president is equally valued no matter where it is cast. FairVote’s executive director Rob Richie co-authored Every Vote Equal, a book explaining how the National Popular Vote plan would work and why the United States desperately needs it, and Fairvote regularly works with advocacy leaders at the National Popular Vote organization to assist in getting to important legislation passed. Richie, executive director of FairVote since he co-founded it in 1992, is also a member of the civil society committee of the Soros-led Bretton Woods Committee, which openly seeks to remake the world economy. Richie’s book “Every Vote Equal: A State-Based Plan for Electing the President by National Popular Vote” was co-authored with the NPV’s founder, John R. Koza. In a Dec. 15, 2008, Wall Street Journal opinion piece, Jonathan Soros, son of George Soros, wrote that it was time to junk the Electoral College. Soros’s Open Society Institute funds the Center for Voting and Democracy, where FairVote is based. The center’s website notes the group was kick-started in 1997 with two grants – one from the Open Society and another from the Joyce Foundation. With Obama on its board, the Joyce Foundation also funded the American Civil Liberties Union Foundation; the AFL-CIO Working for America Institute; the National Council of La Raza and Physicians for Social Responsibility, among numerous other radical groups. Meanwhile, the NPV leadership is comprised of Democratic Party supporters. The organization’s chairman and major funder is John R. Koza. He was the co-founder, chairman and CEO of Scientific Games Inc., where he co-invented the rub-off instant lottery ticket used by state lotteries. Koza, who has reportedly pledged $12 million to NPV, previously gave tens of thousands of dollars to various Democratic Party committees and liberal candidates and was an Al Gore elector in 2000, the Weekly Standard reported. Another pledged NPV leader is Tom Golisano, founder and chairman of Paychex, the nation’s second largest payroll and human resource company. He co-founded the Independence Party of New York in 1994 and ran as the party’s gubernatorial candidate. Golisano is a registered Republican, even though he supported John Kerry and gave $1 million to the Democratic National Convention in 2008. NPV’s secretary, Chris Pearson, served in the Vermont House of Representatives in 2006. In 2005, he was director of the Presidential Election Reform program at the Soros-funded FairVote.